We offer surface sanitizers in spray bottles and pre-measured packets that are ready-to use for quick and easy cleaning. Since our food service wipers just need to be dipped in water, they’re great for wiping down tables and bar tops during a shift in your restaurant or bar. 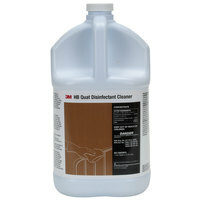 We even have cleaning starter kits that are sure to meet all of your cleaning needs. Also make sure to check out other great items from Noble Chemical, Noble Products, 3M, Calgon, Fantastik, Pure Bright and Purell. Whether you run a hotel, hospital, or foodservice establishment, it’s necessary to make sure your facility is maintaining sanitary conditions. Our surface disinfectants are designed to be used on non-porous surfaces to fight against bacteria like salmonella and e. coli. Some of these products come ready to use, making it quick and simple for your employees to wipe down your countertops and equipment. We even offer surface sanitizers that can be used to clean your coffee makers and ice machines. For more janitorial supplies, check out our air movers, dusters, and utility brushes. 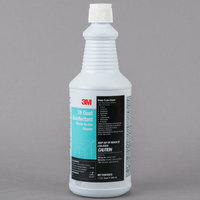 If you're wondering where to buy 3m surface sanitizing and disinfecting chemicals, we have a large selection of 3m surface sanitizing and disinfecting chemicals for sale at the lowest prices.